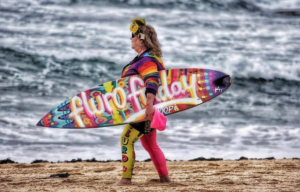 Non-Profit Surf community OneWave is set to celebrate its 6th Birthday on Friday 22nd March 2019, by creating a fluro wave at 100 beaches around the world to raise awareness of mental health- and one of those beaches is Sharky’s at Coledale. From Coledale to the Philippines, from Scotland to Peru, OneWave communities will stand at the water’s edge dressed in their brightest fluro, linking arms, with a simple message – to let anyone facing mental health challenges, know they are not alone. 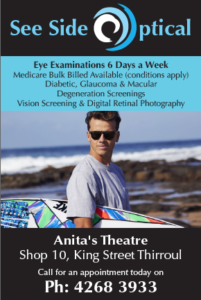 One Wave founder Grant Trebilco says it’s time to become visible and let people know it’s totally ok, not to be ok.
“When I was diagnosed with bipolar 7 years ago, it was surfing and good people that helped me the most. Sometimes, one wave really is all it takes,” says Grant. with surfing and it is a great recipe to help free the funk,” he says. 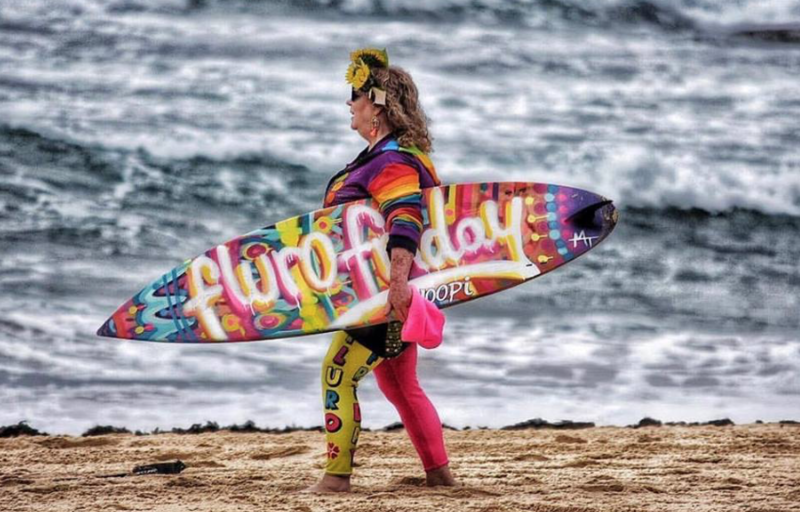 Fluro Fridays started at Bondi Beach in 2013 and consist of surfing, free yoga and a “anti-bad vibes circle” allowing people to share stories in a safer environment. They have since gone viral, with sessions held at more than 170 beaches globally, including in California, Hawaii, Mexico, the UK, New Zealand, Bali, India, Norway and Fiji. 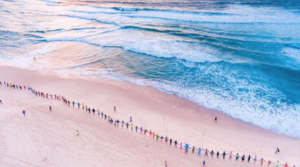 Last year, the OneWave community garnered global media attention when the Duke and Duchess of Sussex, Prince Harry and Meghan joined the anti-bad vibe circle wearing colourful leis for Fluro Friday at Bondi Beach. deaths of more people than car accidents. 7am – Fluro wave – Stand at the water’s edge in bright fluro, linking arms. We will start with one minute’s silence to remember the good people we have lost and then we will create a Mexican-style Fluro Wave, to bring a whole lot of colour and awareness to mental health. Just remember all it takes is two or more people standing on the shoreline holding hands, to create a fluro wave.